Nakkila Works Oy is an internationally operating supplier of tanks, storage tanks, tank farms, pressure vessels and process equipment. Nakkila Works Oy is a global overall supplier known from its quality and delivery reliability for tanks, mass towers, tank farms and process equipment. Our qualified personnel design, manufacture and install our tanks and tank-related work flexibly and cost-effectively. Our project manager, together with our other organization, ensures meeting our customers’ requirements and expectations. Our production facilities enable the production of large tanks at the work shop. 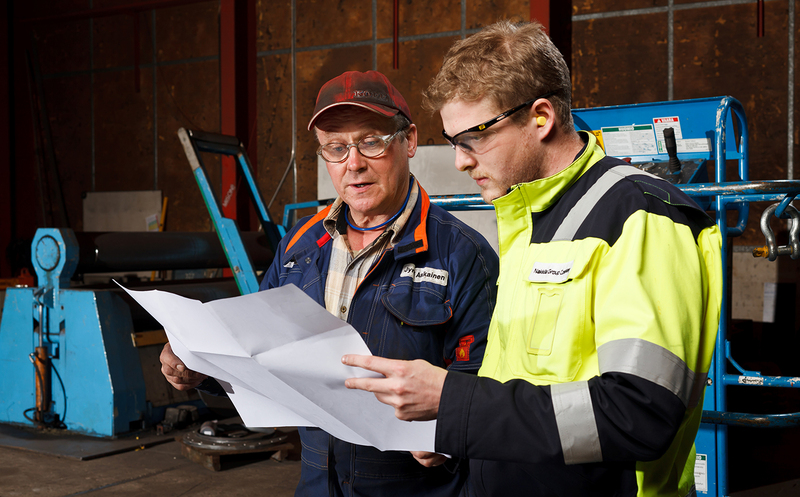 Our plant is located in Nakkila, Western Finland, and we have excellent special transport connections to both installation sites and export ports. We also manufacture storage tanks at the installation site. Prefabricated parts are manufactured in our workshop for installation. The manufacturing of large tanks is accomplished by modern methods and equipment. We pay attention to our customers’ occupational safety and environmental and quality requirements for our work both at the workshop and in the installation sites. Responsible operations, customer satisfaction and employee well-being are the fundamental principles of our business. With our knowledgeable project organization and a comprehensive cooperation network we provide also extensive deliveries to meet our customers’ individual needs. When it comes to purchasing a new tank, process equipment or pressure vessel, we are capable of providing our clients with a wide range of solutions. The tank life cycle services we offer cover the entirety of a tank’s life cycle, from design to scrapping. Solutions are always tailored to the needs of the client. We want to put at the service of our clients the decades of expertise we have in the design and manufacture of demanding machined products.